On Friday, director Colin Trevorrow released the first of 3 new posters for his upcoming summer blockbuster Jurassic World. Now, take a look at Saturday’s poster. 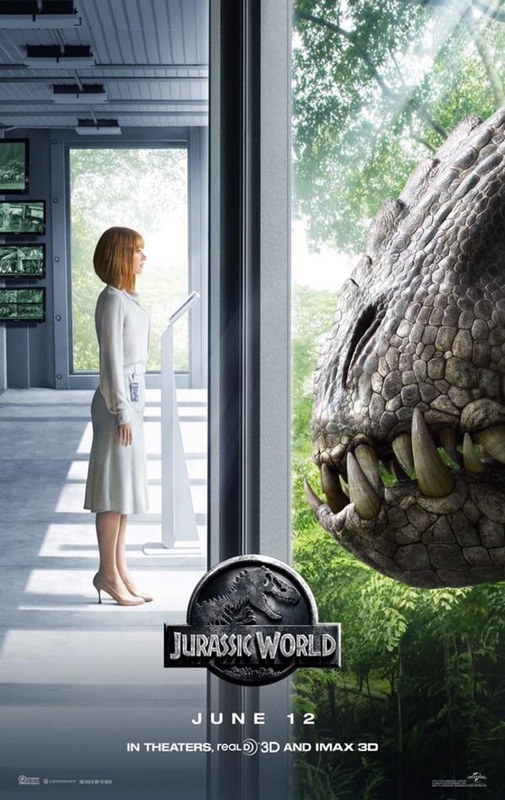 These two posters certainly seem to have a common theme: there is literally a plate of glass (“security”) keeping visitors and employees, like Bryce Dallas Howard’s Dr. Claire Dearing, away from monsters that could devour a human in a single bite. 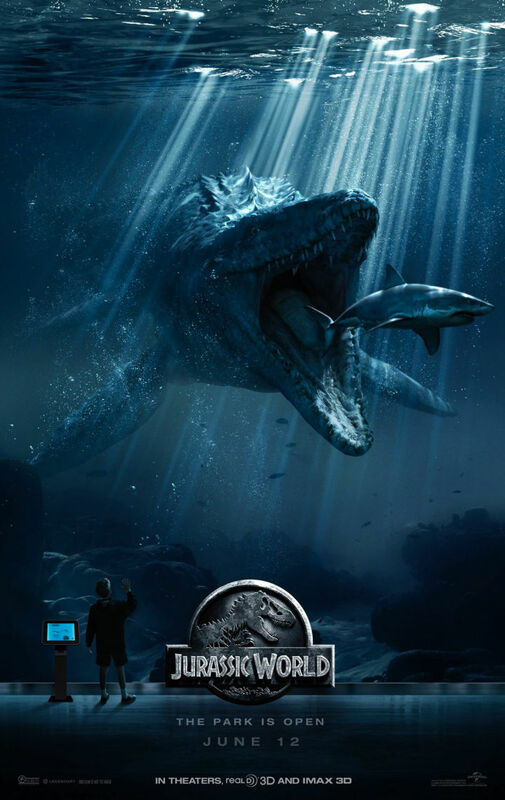 The Indominus Rex snout in the first poster, and the majestic/terrifying Mosasaurus eating a shark in the other. But don’t fear! 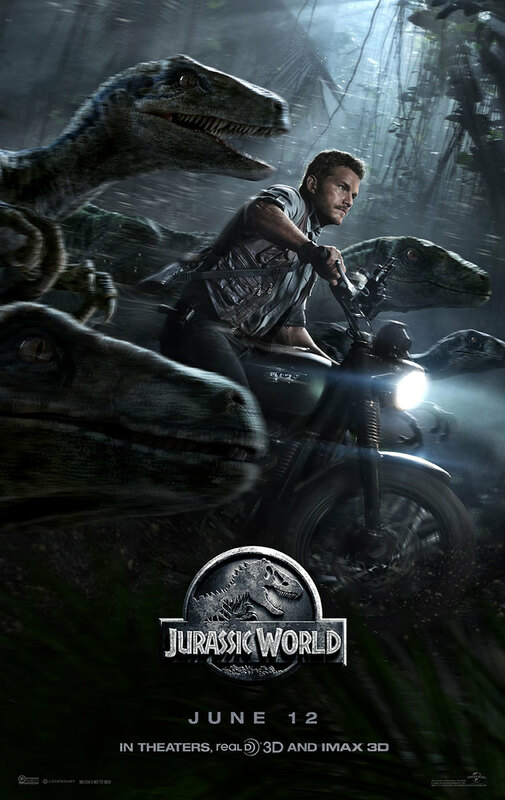 Owen Grady (Chris Pratt) and his Pride of Velociraptors are here! A new trailer for Jurassic World premieres Monday online. Hopefully we get a bunch of exciting new images, without a clear shot spoiling the look of poor, misunderstood, Indominus Rex.